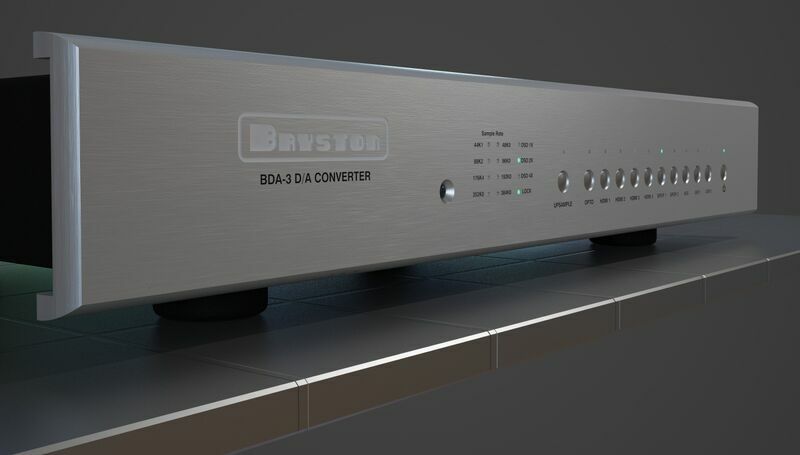 Peterborough, Ontario October 8th, 2015 -- Bryston has announced today the introduction of the BDA-3 digital to analog converter (DAC), the company’s highest resolution DAC to date. Pre-orders for the BDA-3 have broken all records for new product introductions at Bryston and continue to be brisk. Target MSRP for the BDA-3 is $3495 USD with a delivery date to authorized dealers of November 1st, 2015. The Bryston BDA-3 is different from prior Bryston DAC’s in that it adds DSD playback. 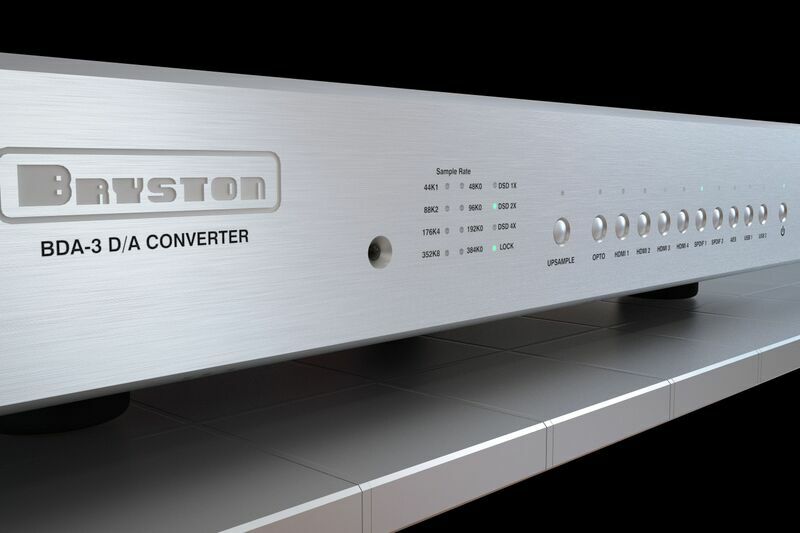 The BDA-3 can decode up to DSD-256 through the asynchronous USB inputs has the capability to accept SACD input via HDMI. For maximum flexibility, the BDA-3 has an astonishing ten discreet inputs including four 2-channel HDMI, asynchronous USB, AES/EBU, TOSLINK, and digital coax. It also includes Bryston’s network module, which facilitates control via TCP/IP and RS-232—a must for integration with modern smart home platforms. With the BDA-3, music aficionados get the very best playback of high-resolution digital files including DSD with the additional flexibility of being able to connect a television or Blu-ray player to their audio system. The Bryston BDA-3 utilizes a brand new decoding chipset that can decode up to 384 kHz/32-bit PCM music and up to DSDx4 natively. Each format is processed in its native resolution, preserving absolute bit-perfect signals all the way to the analog outputs. Additionally, Bryston’s ultra-precise re-clocking circuit reduces jitter to nearly immeasurable levels. Bryston’s proprietary analog section is completely free of integrated circuits (ICs) that limit the bandwidth and dynamic range of so many competitive DACs. “High performance and versatility were the benchmarks that we established for the BDA-3 when we began working on the design,” commented Bryston CEO Chris Russell. “We wanted to create the ultimate DAC for traditional audiophiles as well as those enthusiasts using a computer-based system. The USB and HDMI interfaces deliver the extremely high bit rate that consumers demand while ensuring compatibility with high-performance computer-based music playback systems and combination stereo and multi-channel theater systems. With our vast array of available inputs, the BDA-3 is compatible with just about any digital source, enabling enthusiasts with older SACD or universal players to benefit from the performance of this advanced new DAC,” Russell concluded.